Lindsey Nemanich is an advocate for clients from both a legal perspective and a personal one. 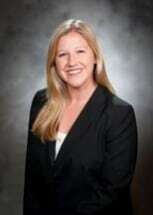 She understands the emotions that can often times complicate an already stressful legal situation and can help clients navigate the rigors of both. She is a native Houstonian from the Cy-Fair and surrounding areas, making her familiar with the values and priorities of the clients she serves.